Hello there! 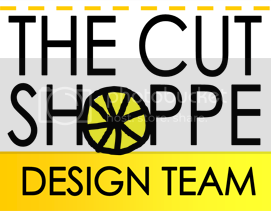 I'm super excited to be joining The Cut Shoppe for another term. Today we are celebrating the new team with a fun blog hop! To start off, we're all answering a few questions about our scrapping process. How many times in a week, do you work on something scrapbook related? Pretty much every day. If I'm not scrapping, I'm planning out assignments or posting things to social media. As far as creating layouts, I tend to go in spurts. I work for several hours at a time and churn out the pages! What’s your favorite subject to scrapbook? My husband and dog, hands down! That's what 99% of my layouts are about! What is your favorite color to use on your layouts/projects? What is your least favorite color? Probably pink. I tend to gravitate towards more girly products, which typically include pink. I struggle with using purple, and I also rarely use orange. Why do you like using cut files on your layouts/projects? I find cut files to be so inspiring! 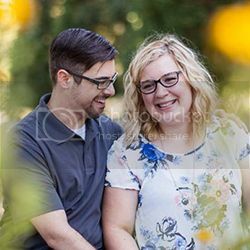 They help me create backgrounds, accents, and titles for my pages. Words and phrases inspire layout subjects. I also love how I can manipulate them to create multiple looks from just one file. What are some of your other favorite hobbies? 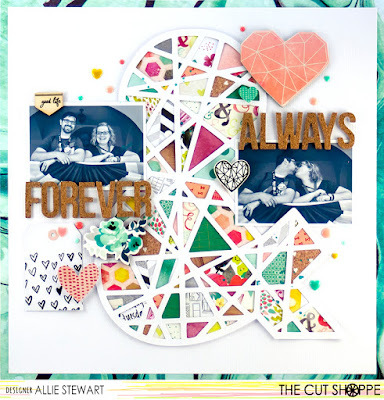 If you were not a scrapbooker, what other hobby do you think would consume most of your time? Tell us 5 things we don’t know about you! -I'm terrified of fish. I don't know why. Ocean fish are fine, but dead fish or any fish in tanks freak me out! -I am basically a four year old at heart. I love stickers, Hello Kitty, and Disney. I'm not even a little bit ashamed. -Michael and I hope to have kids in the next few years, but first I intend on fulfilling my life long dream of going to Paris. -I was 20 the first time I went to Disneyland. I loved it so much that I honeymooned there, and have been back multiple times since! -I'm an Auntie! I have one niece, Cassidy and she is two years old. I love her so much! 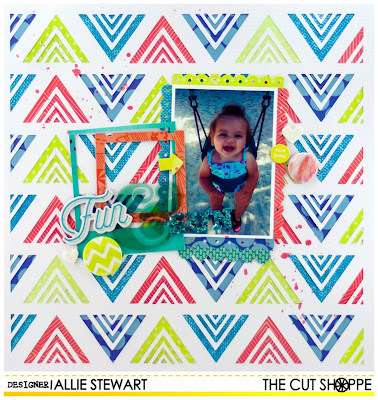 Here's a look at some of my favorite layouts I've designed for The Cut Shoppe! And now for a giveaway! Leave a comment below to be entered to win a $5 gift certificate to The Cut Shoppe Etsy store! Each designer on the hop will be giving away a $5 certificate, so be sure to stop by each one and comment! A random winner will be selected rom each blog and all winners will be announced on The Cut Shoppe blog on WEDNESDAY, JULY 13TH! Check each blog to see if you're a winner! Now for the next stop, Zsoka Marko! Happy hopping! Loved to read more about you! and your scrapbook pages are all an inspiration! WTG! That paper pieced ampersand must have taken ages. Love it. Love your layout! Love the RESCUED & LOVED layout...need to make that one! So excited to have you on the team again Allie! We honeymooned in Disney World. It's one of our favorite places!! I like your triangle layout. Went to Disney last year and can't wait to go back! I struggle with purple too, I think because its so hard to find nice products to work with it! Beautiful layouts Allie, and I loved reading about you! Great job using the cut files! Beautiful layouts and I look forward to seeing more of your creations! Great layouts. I love the triangle cut file and design. 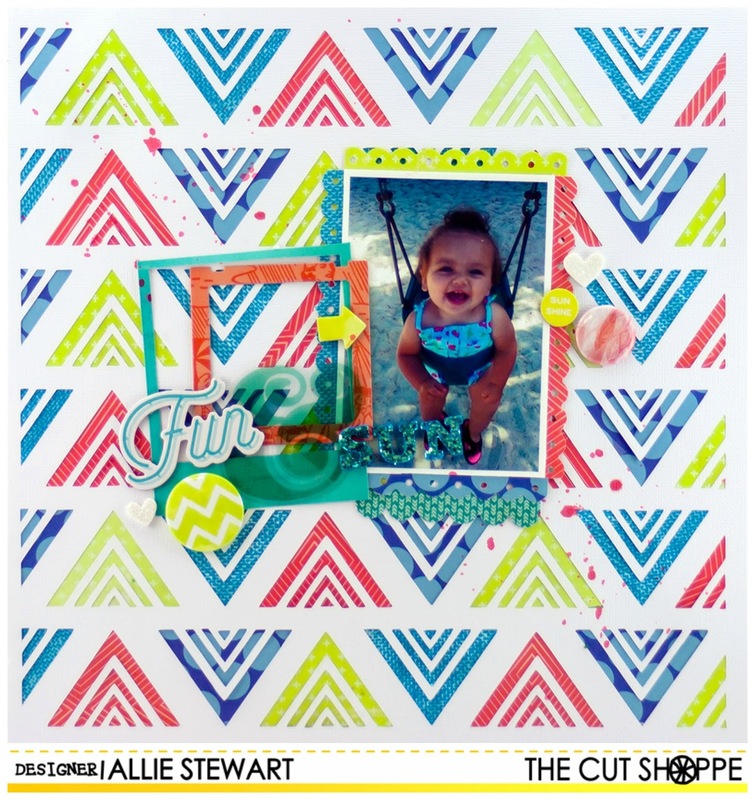 Love your fun designs and how you use the cut files! Disneyland is amazing! 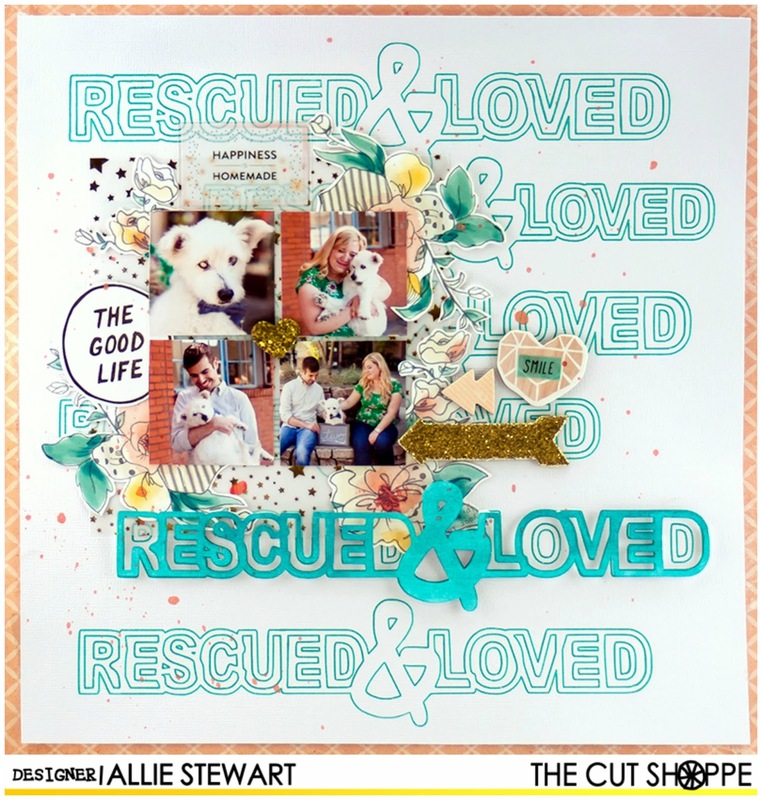 I always love how colorful & inspiring your layouts are-- and your dog is a cutie too! !